Here is quite hard yet rewarding crafts project I’ve stumbled on recently. 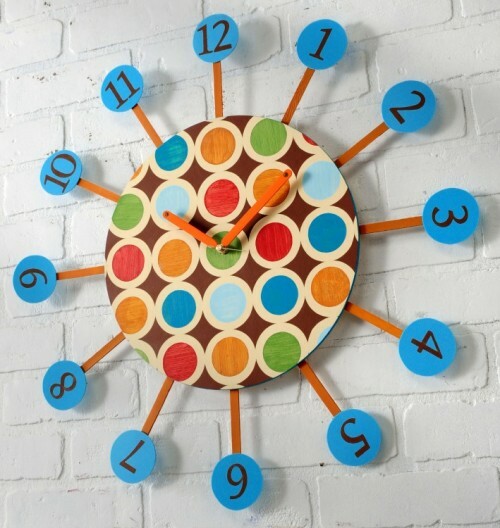 A star burst wall clock made in retro theme to become a great wall decoration of any contemporary interior. 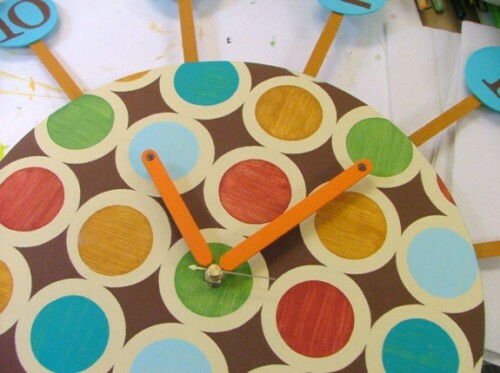 You’ll need a bunch of stuff for this project including a lot of different craft paints but only imagine how cool such colorful clock would look like on a monochrome wall. Do you have a monochrome wall at your home? For instructions visit Paint Me Plaid.